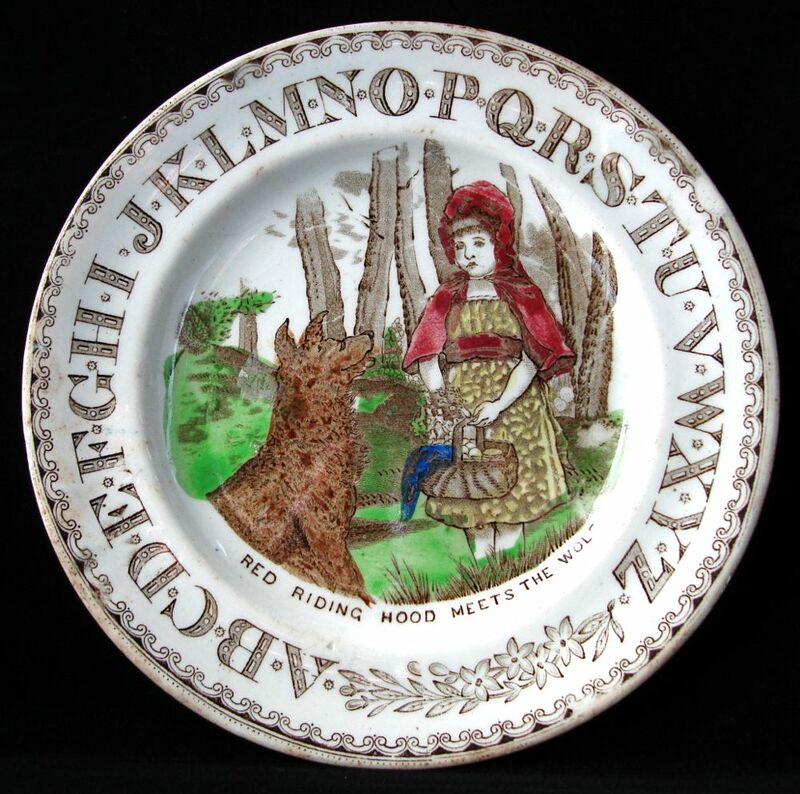 Brownhills Pottery (1872-1896) "Red Riding Hood Meets The Wolf"
Today, February 26, is National Tell A Fairy Tale Day. There appears to be a national or world day for everything! Even broccoli! (I am just guessing here). So, I thought I'd tell a fairy tale by way of showing some of my blog posts about one of my favorite fairy tales, "Little Red Riding Hood." Click on the links above to see more patterns. It's wonderful your dish decorated with our known "Little Red Riding Hood". I have never seen anything like this before. The old factories here in Portugal have produced some table ware with this theme, but in most recent times. The alphabet decoration was more common in some factories. You can see one of them in the last post of my blog. It's a mark used from 1894 to 1902. 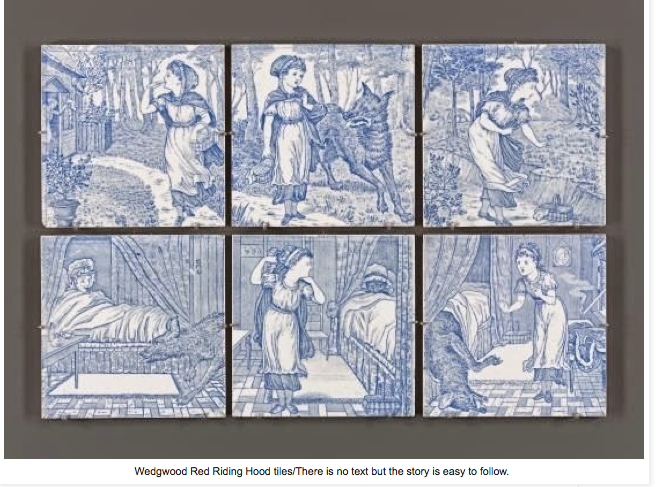 Red Riding Hood is one of my favorite fairy tales. There is so much to be learned from the story. My granddaughter thinks so too! I enjoyed looking at your blog. We seem to like the same things.